Large parking lot. 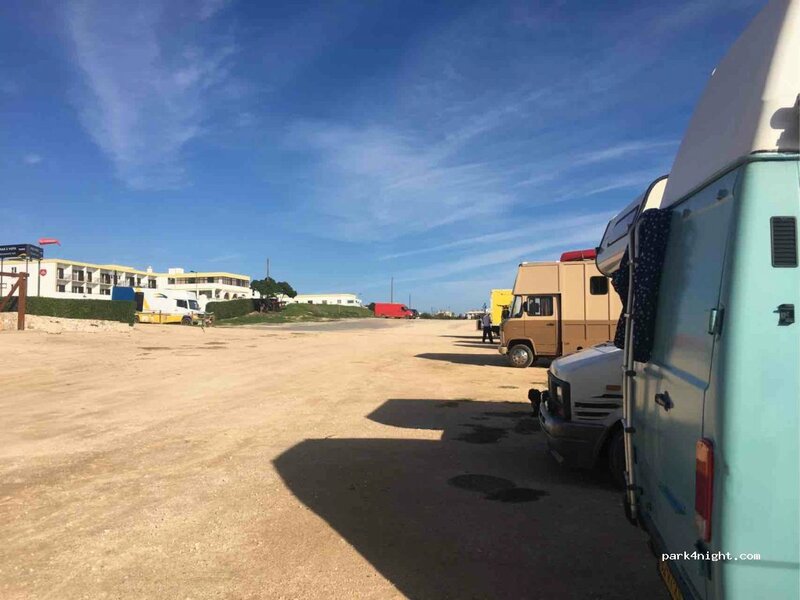 There are signs at all entrances and throughout the lot that motorhomes are not allowed. This seems to be a new restriction. 2 minutes walk from the shops. 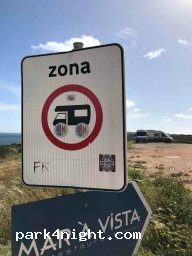 There seem to be new signs that prevent entrance to motorhomes regardless of time of the day. We saw a couple of campervans parked with levelling ramps, so perhaps it’s tolerated for more discrete vehicles. Das Team BonnyMobil hofft, heute hier die Nacht verbringen zu können. Der Platz ist super, um das Dorf zu erkunden und hier zu übernachten, obwohl am Eingang ein dickes Verbotsschild steht. Aber das Team BonnyMobil möchte hier nicht mehrere Tage stehen. We stayed here 2 nights and the second night we got moved on. Day parking okay. In town centre with a great view. Habe hier zwei Tage gestanden und konnte ohne Störungen schlafen. Einige weitere Vans waren vor Ort. Sehr schöner Platz. Ruhig, aber doch Zentral und nah am Strand. Moved on by the police at 2am. Dormito due notti in questo spiazzo. È tranquillo, non abbiamo avuto problemi e nessuno è venuto a dirci che non potevamo dormire li. Vicinissimo alla spiaggia e ai servizi commerciali. Bella vista. Terrain en terre nous y avons passé la nuit avec une vingtaine d'autres camping-cars, personne n'est venu nous sortir. Une boite de nuit pas loin a animé une partie de la nuit. 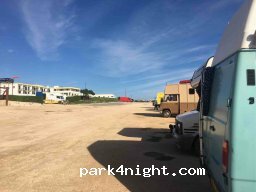 Les panneaux à l'entrée de ce parking sont équivoques : c'est une zone pour camping-car ou c'est interdit ? Wir haben vor circa einer Woche eine schöne Nacht und einen entspannten morgen mit tollem Ausblick verbracht. Jetzt vor 2 Tagen wollten wir dies gerne wiederholen und wurden gegen 23 Uhr von der Polizei weggeschickt. Schade. 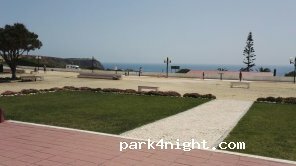 Nos han echado a las 24:00 AC y furgonetas, nos han dicho que no se puede dormir en todo el parque de Sagres, solo en camping... Nos han amenazado con multa si nos pillan en otro sitio en todo el parque de Sagre... mmmmmmmu mal, así no!!! 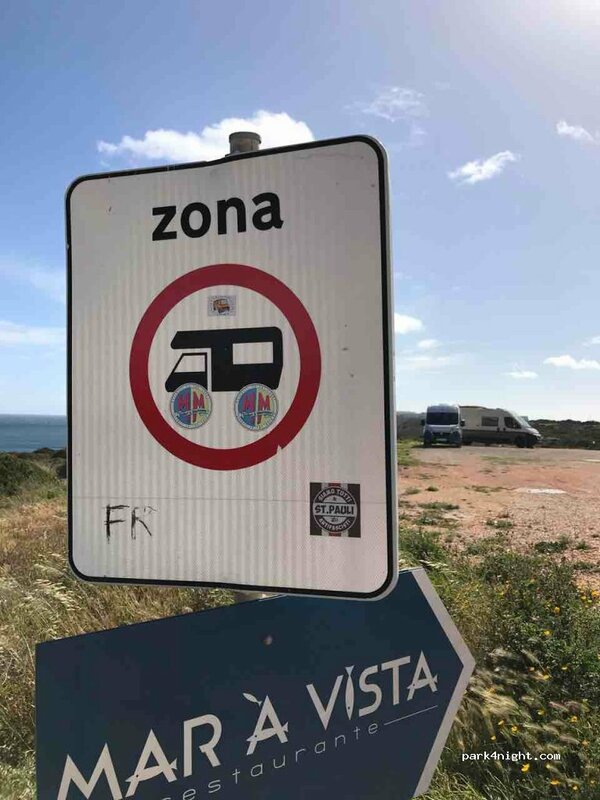 El lugar es muy bonito, pese a existir señal de prohibido autocaravanas la gente se mete y nosotros nos metimos... consecuencia: a las 3 de la mañana la guardiña echó a todo el mundo. Great spot, stayed the night and woke up with an incredible view. Lots of other campers but very quiet. 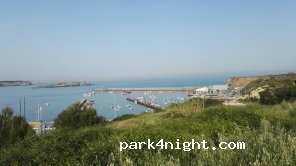 Very nice beach to enjoy during the day, places to eat are around the corner and public trash bins are at the site. GNR didn’t show up. We would definitely recommend this place to enjoy for a day and night. 19/7/18 Por la noche pasó la policía pero no dijo nada, hemos dormido junto a 6 AC y varias camper. Las vistas son muy buenas pero por la noche hay una discoteca cerca bastante ruidosa. No la recomiendo para días calurosos de ventanas abiertas. Great spot, but, as mentioned before, police sometimes sends everybody away. We spend a few nights there and on one of them they came at 01.30 in the night to send eveybody out. Crazy, because it is a place that can be managed easealy and kept clean with a public toilet and garbage bins. And, why at such a crazy midnight time?? Mois d'avril aucune interdiction. Magnifique vue. Pour le plein et la vidange des eaux, parking Intermarché un peu plus haut. 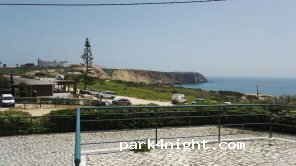 Great spot in the heart of Sagres. Police came by at 7PM, but didn’t say anything to us. We spent the night there with 2 other vans. No problem. Buen sitio para aparcar y dormir, explanada de tierra con algo de desnivel. sin ningún servicio. Stationné le 1er octobre. Aucune interdiction, gratuit. Calme en cette saison un dimanche soir. Belle vue. Bien pour aller se baigner ou aller en ville. N'avons pas trouvé la possibilité de rester la nuit. Endroit en pleine ville en bord de falaise ou paissent les vaches librement !! Original ! Terrains vagues, privés ? On ne sait pas trop et ce n'est pas rassurant. L'office de tourisme interdit les camping-cars hors des campings. Je déconseille. Allez à Cap Saint Vincent le paysage vaut les quelques km de plus. 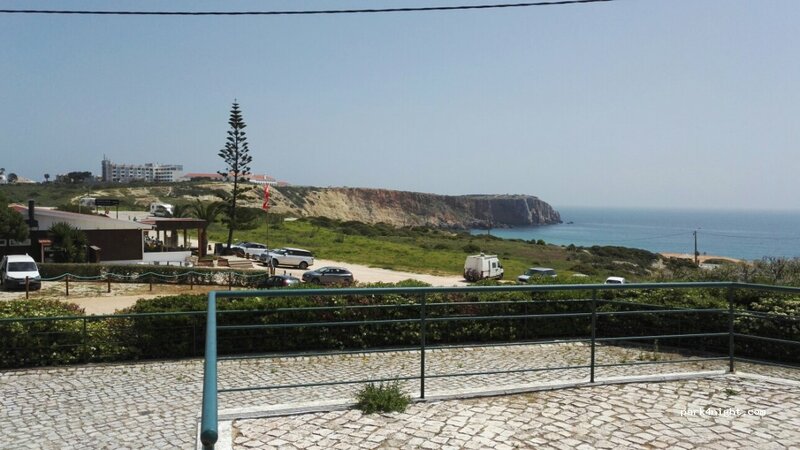 Intermarché Sagres. Need to pay for fresh water. Can park and stay for free! !